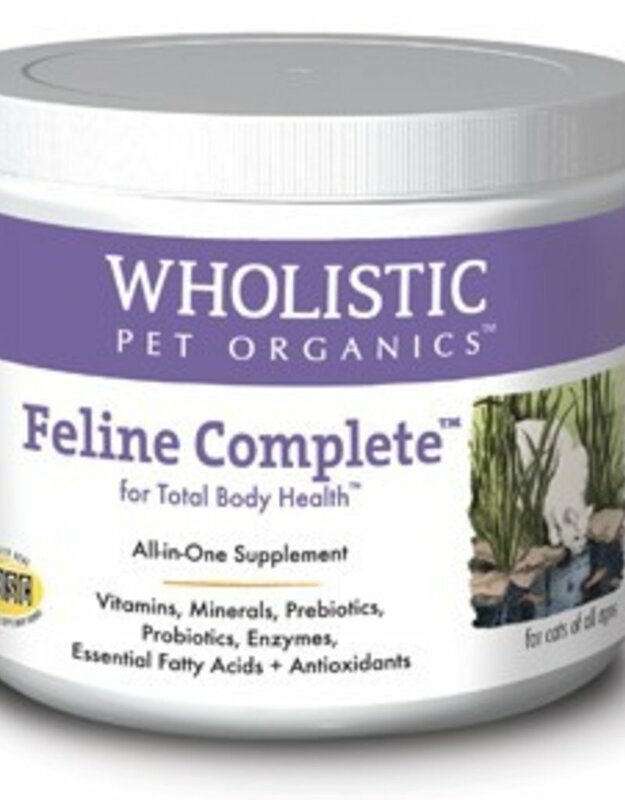 Wholistic Feline Complete™ is the most highly advanced nutritional blend of Certified Organic ingredients in an easily-digestible form of natural, whole foods! Wholistic Feline Complete™ offers your cat with vitamins, minerals, prebiotics, probiotics, enzymes, essential fatty acids, and antioxidants.No fillers, no artificial ingredients or additives of any kind, no wheat, corn, soy or yeast! And cats go crazy over the fish taste! 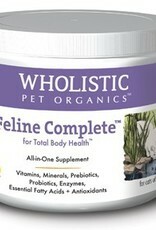 Wholistic Feline Complete™ supplies a full spectrum of daily, solid nourishment for the healthiest of cats! Naturally complete with taurine! For complete product information, including ingredients and directions for us, visit The Wholistic Pet website.